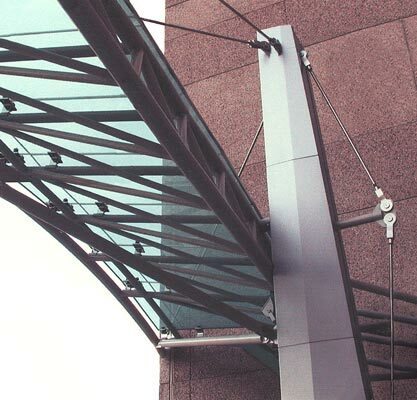 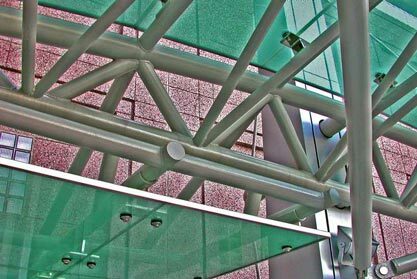 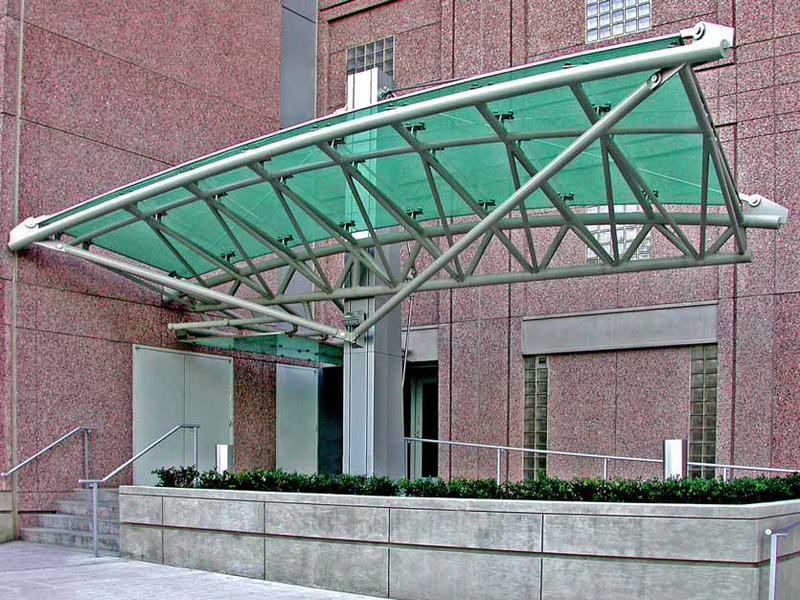 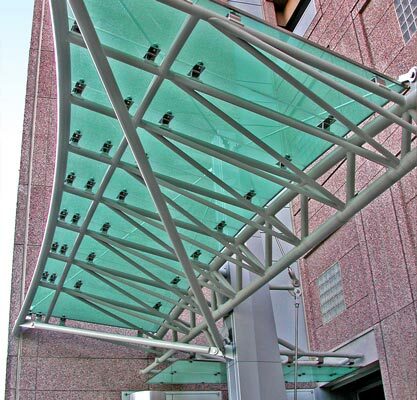 UBS asked Post Road Iron Works Inc. to fabricate and install this high-tech glass-topped canopy for the entrance to their headquarters building in Stamford, CT. 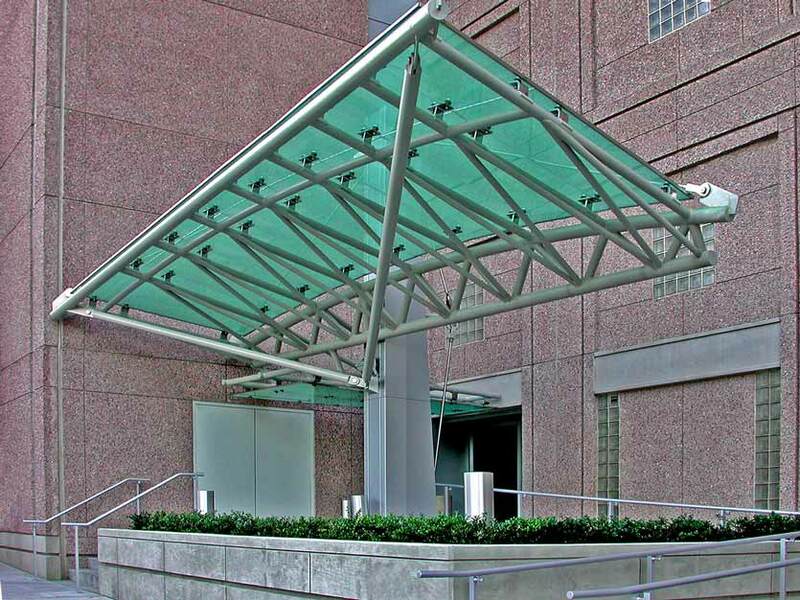 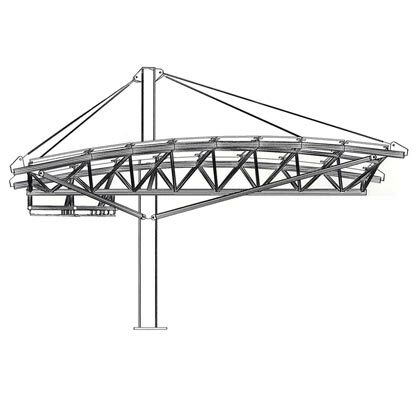 The canopy is 27′ long by 11′ wide, and is hung from a single column by a series of 1′ rods of stainless steel rods and is fabricated from a combination of 2′, 3′ and 5′ double extra strong schedule 60 curved pipe. 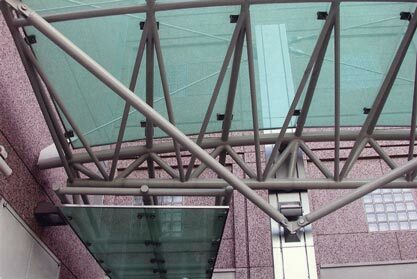 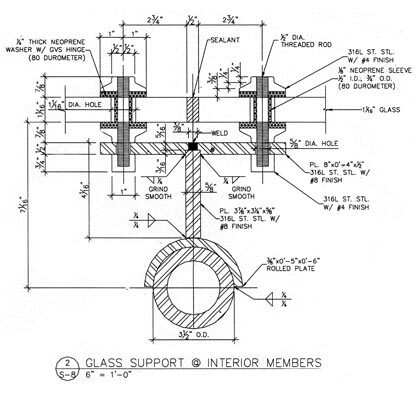 The glass panels are fastened to the canopy with custom stainless steel brackets.